Shipping worldwide from our New Zealand warehouse. Earn 0.54 Weta Dollars! What's this? A director will have a vision in their head of the kind of movie they want to create but they always need great teams to realise that vision. This is what Weta Workshop, and the Weta Group of Companies, do. Based in Wellington, New Zealand, these two companies, founded by Peter Jackson, Richard Taylor, Tania Rodger and Jamie Selkirk, have been an integral part of some of the biggest movies of all time. Celebrate imagination and creativity with this special pin from Weta Workshop! 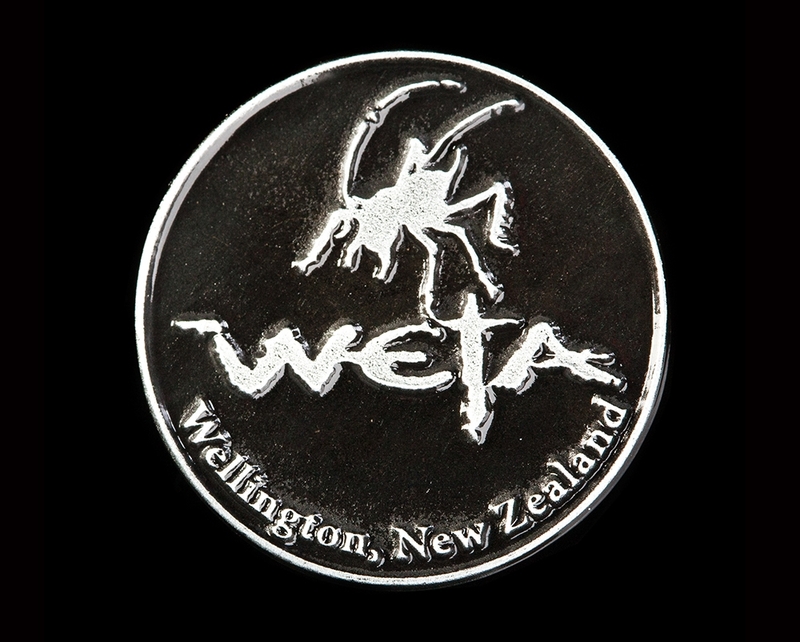 The Weta New Zealand Pin is spincast from metal (Zinc Alloy) in Wellington, New Zealand, with the Weta logo and text in relief and the background in black enamel paint. It comes mounted on a backing card inside a zip-loc bag. The reverse of the pin is painted black. 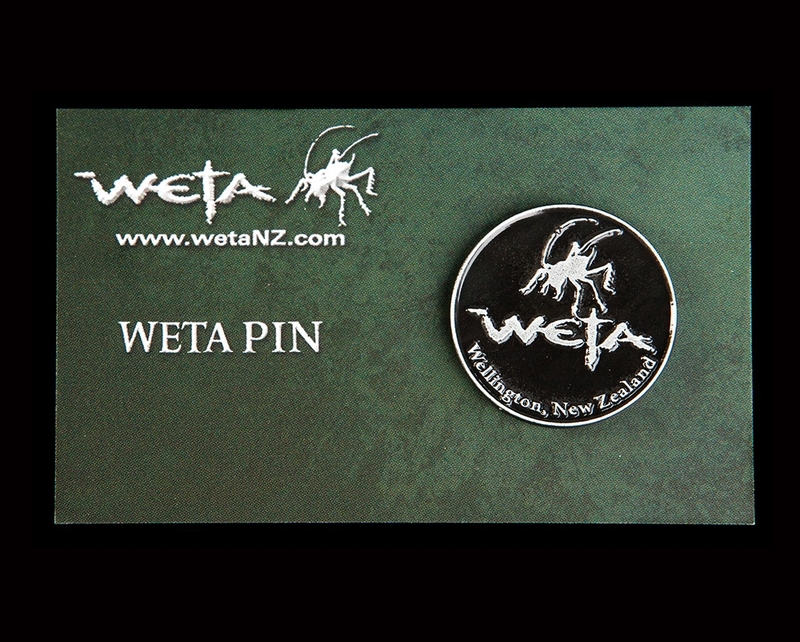 The backing card features a quote by Richard Taylor, explaining the origin of the word Weta. The diameter of this pin is 1.1 in (28 mm) and features a pin welded to the back for easy attachment to your clothing.